Great quote. Thanks for sharing. Go you! 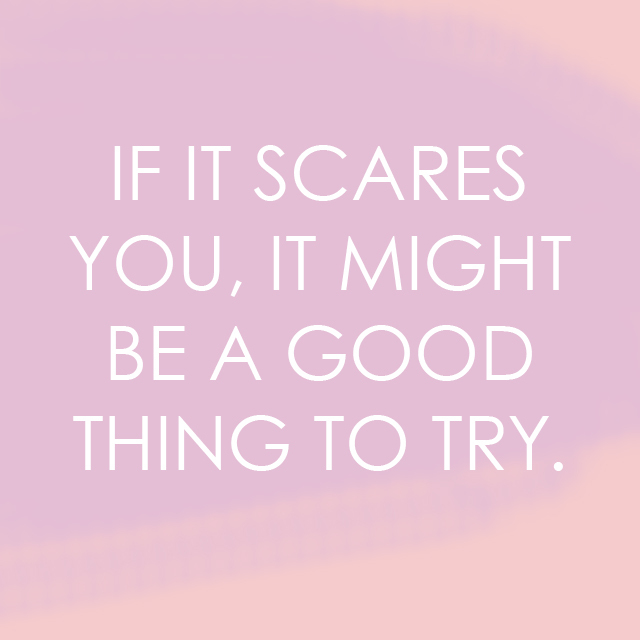 I love doing things, big or small, that get me out of my comfort zone! p.s. Hop on over to Lynn and Lou for a special giveaway! I'm the same way... I get stuck in my comfort zone and have a hard time breaking out of it! Cheers to trying more new things in 2013! I love this quote! And I think it is so awesome that you stated taking a class at teh art institute - so cool! I tend to be the same way. I need this quote in poster form!